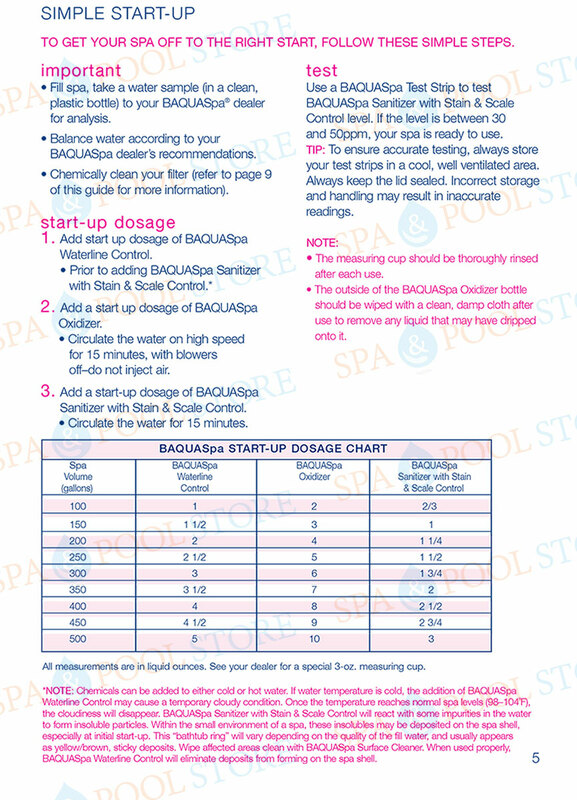 Baqua Spa Waterline Control prevents formation of waterline deposits on the spa shell. When used properly, BAQUASpa Waterline Control will eliminate deposits from forming on the spa shell. If water temperature is cold, the addition of BAQUASpa Waterline Control may cause a temporary cloudy condition. Once the temperature reaches normal spa levels (98–104°F), the cloudiness will disappear.